Archive for the ‘Winter – Snow Much Fun!’ Category. Jesus Loves Me “Snow” Much & Other Wintry Fun! I’m a sucker for themed crafts and activities. These are some of our favorite wintry fun ideas that our family has enjoyed from they time the kids were itty bitty through elementary school. Jesus Loves Me “Snow” Much! Make icicles! Draw a jagged lines across the middle a white piece of paper. Cut out multiples of these and use both halves. Tape them so that they hang along shelves and window frames to look like icicles have formed inside. Snow Scene with Frosty: Cut out an outline of a snowman on white paper. Let the child glue the snowman to a dark blue or black piece of paper and color the snowman and paper. Then, rub the side of white chalk back and forth across the paper to create snow. Beat egg whites, salt, cream of tartar, and vanilla to form soft peaks (don’t overbeat…it will still be foamy). Gradually add sugar and beat until stiff peaks form. Scrape sides of bowl frequently. Place several paper bags on a baking sheet. Drop spoonfuls of the mixture on the brown paper. Bake in 250 oven for 25 minutes. Cool completely before serving. 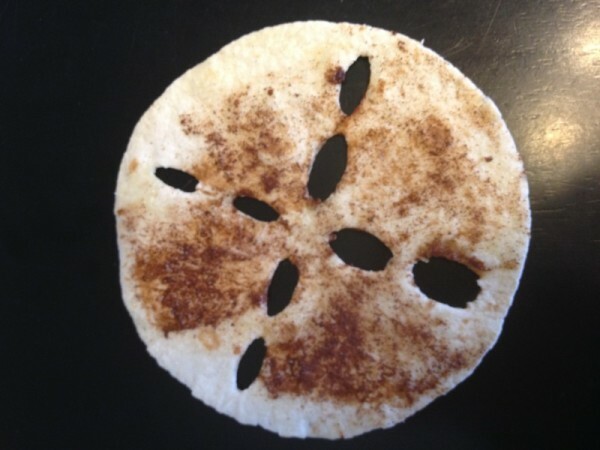 Fold a tortilla into fourths and let your child take several bites out of the edges. Unfold, spread butter, sprinkle with cinnamon and sugar, and bake for 8-10 minutes on 350. Pin the nose on the snowman: Make a snowman face on a white paper plate or circle of white paper. Draw a snowman face without the nose. Cut out some orange triangles (carrots), and see who can stick the nose the closest to where it belongs… blind folded, of course! Have a snowball fight! Toss balled up socks at each other. Or, be more civilized and toss them into laundry baskets at varying lengths from you. Winter - Snow Much Fun! The Sandy Hook Parent-Teacher Association (PTA) recently announced that Sandy Hook students will be relocating to another building to continue school in January. To brighten the students’ first day, the PTA is asking for handmade snowflakes from well-wishers across the country, to hang in their new building. “Please help these students have a ‘winter wonderland’ at their new school! Get creative. No two snowflakes are alike,” they said. This is a tangible way to help you children cope with this tragic news and put the Parenting with Scripture topics of Compassion and Sympathy into practice. As your children are creating snowflakes, discuss the situation in an age-appropriate way, incorporating the following verses. If you are looking for an outing, your library may have books with snowflake patterns. 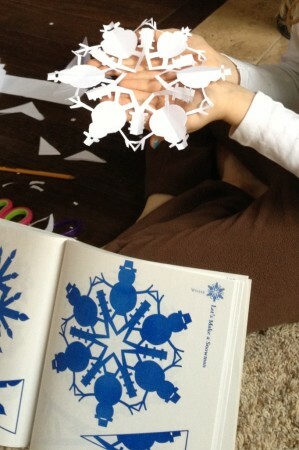 Our family has been enjoying experimenting with Snowflakes for All Seasons by Cindy Higham. My kiddos often enjoy nibbling the holes rather than cutting them.